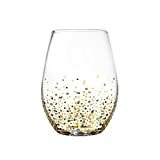 Fitz Floyd Confetti Black and Gold Stemless Glasses (Pack of 4) – My Home Wine Bar ! Amazon Price: $53.99 (as of February 2, 2019 9:44 pm - Details). Product prices and availability are accurate as of the date/time indicated and are subject to change. Any price and availability information displayed on the Amazon site at the time of purchase will apply to the purchase of this product. 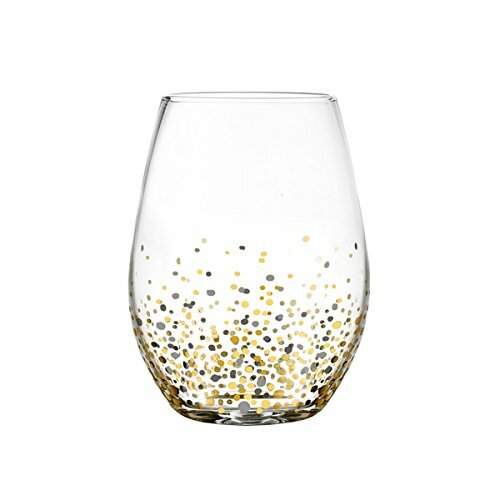 These four gorgeous, confetti patterned stemless wine glasses are sure to create a pleasant celebratory atmosphere at each and every dinner party you give ! The glasses are made from best-quality, clear glass, ensuring their long life.